This piece was originally published by The Listening Fund, and has been republished here with permission of the author. Following a recent trip to the Feedback Summit, Edd Fry, The Listening Fund (England) Project Manager, shares a summary of what he learnt. For two days in early October, I was in a room with over a hundred other people above a converted Greyhound bus depot in Washington D.C.. It was a global gathering to try and answer one question: how can we make feedback an expected part of good practice? The idea of gathering feedback from individuals who use services is not new; the Feedback Summit itself is in its fourth year and many organisations have been using feedback practices for considerably longer than that. However, it remains in the eyes of many a ‘nice-to-have’, a supplement to existing work and services, and is rarely included in budgets, job descriptions or staff objectives. Over the course of the summit, people from around the world shared their thoughts and opinions on what it would take to change that and make feedback the norm. Trying to capture all that expertise and enthusiasm in a blog is impossible, but three main themes stood out in the most compelling answers: evidence, funding and tools. There are many reasons why organisations might decide that feedback is important, including wishing to involve an individual about decisions which will affect them; hoping to increase an individual’s skills and self-confidence by giving them a meaningful platform; and believing that engaging with service users will lead to improvements in the design and quality of that service. For most organisations, their interest in developing feedback practices is a combination of all three. To help make feedback the expected thing, we need to be able to demonstrate – to funders and those involved in delivery – that feedback can have a demonstrable impact on these ambitions. Feedback practice needs to be linked to outcomes, which requires organisations using feedback to be clear about what they want feedback to help them achieve, and then measure how successful it has been in realising that goal. NPC have just released a paper going into much more detail on these ideas and it can be read here. Inevitably, collecting this evidence costs money. 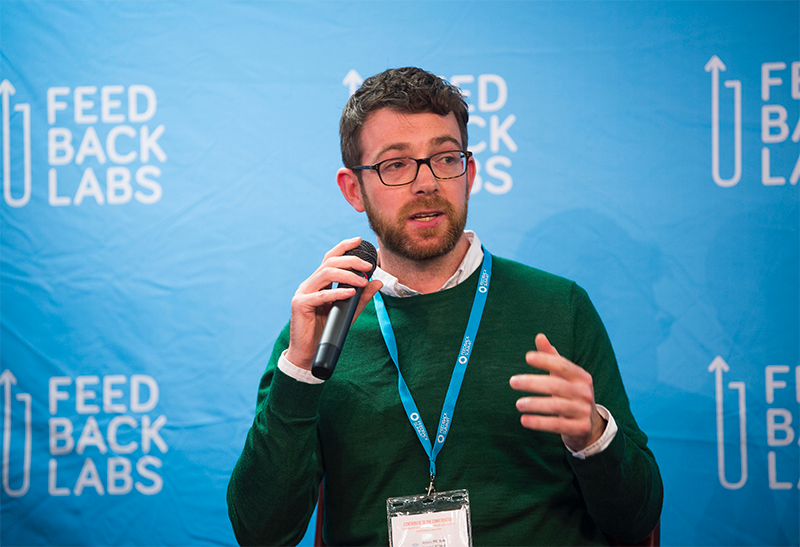 At the Feedback Summit, funders were challenged to provide more resources for organisations to try different feedback approaches, and asked to help create a culture where experimentation was encouraged and the risk of failure was accepted. However, it was also clear to attendees that if we want to make feedback the expected thing across the sector, project funding isn’t sufficient. Organisations need to include feedback in their core work and thus their core costs, and funders need to move towards funding these core costs. This is part of a growing movement towards unrestricted grant making, which is supported by reports such as this produced by the Weingart Foundation and more recently this paper on trust-based philanthropy from the Whitman Institute. Finally, many attendees talked about a need for accessible tools. Providing a low-cost, low-effort entry point was seen as essential to spread the feedback ‘movement’. Properly designed, such tools would appeal to senior management who might be anxious about budgets, to staff who are already busy delivering existing services, and to small organisations who have limited resources. At present, there are few tools available to organisations interested in developing their feedback practice. Feedback Labs have a series of blogs on ‘Feedback Fundamentals’, but there is precious little in terms of free or low-cost support and guidance to not-for-profit organisations. Some of the most experienced players in this space, such as Keystone Accountability, have now recognised this and we may see some exciting developments soon. In addition to the in-depth discussion of how to increase the use of feedback, there were also interesting sessions on what funders are doing to listen to beneficiaries (including the line: ‘don’t ask if you won’t then commit resources!’); how the Polaris Project is engaging with those who have related experience as paid consultants; and how the collaborative filtering technology used by Netflix and Amazon, amongst others, is being applied to the not-for-profit sector. For someone involved with The Listening Fund, it was a fascinating couple of days. Our challenge is to build on these discussions and to use the current interest in feedback and user voice to make a permanent power shift, creating a more equal society for the young people with whom we work. With the newly released report from the Inquiry for Civil Society, The Blagrave Trust’s recent partner event focused on taking accountability further (you can watch a video here), and the Scottish version of The Listening Fund launching in 2019, momentum is building and we are excited about where the next year might take us.